A smart contract contains an infinitely large number of ways, when the founder (if desired) can select / not pay tokens to the investor, and also keep as many of the tokens within Hardcap as he want. Usually such ICOs are classified as fake, where tokens are once emitted into the founder’s wallet and then somehow distributed. Several cosmetic techniques have been added here, somehow ennobling such a gross violation of the rights of the investor. Further, it is supposed to somehow bypass some management systems to raise money (and not a smart contract), and after payments it is supposed to transfer tokens from the personal wallet of the founder (with 528 million tokens) to the next investor in the volume of its acquisition. At the end of the ICO, it is assumed that the founder must call the finalize () function and burn the remaining tokens. The developer of the smart contract and the founders of the project viciously scoff at the ideology of the blockchain, where no one should promise anything to anyone. The phrase “We promise to burn unsold tokens” is a profanation of the idea of the blockchain and demonstrate to everyone how and how wrong the founder imagines the ICO, the procedure of honest exchange of money for tokens, and protection of investors rights. 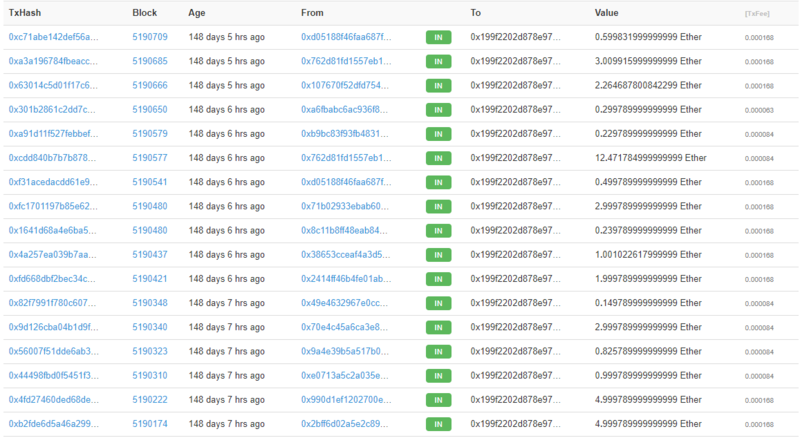 It seems that at least Hardcap on tokens of 1.2 billion can not be overcome / faked. However, such deception is easy, if the founder wants. 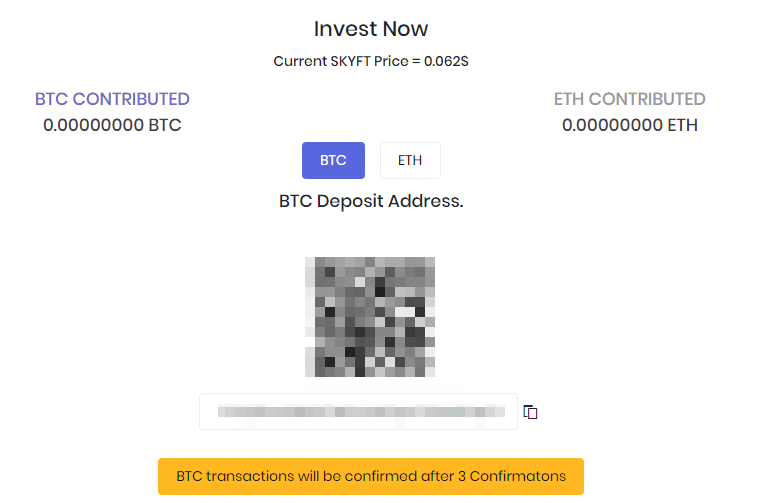 Investors at the time of payment send money to extraneous addresses (not to the address of the discussed smart contract). Therefore, in response to them, you can send absolutely any tokens, from another smart contract. In the interval between the creation of 528 million tokens in the wallet “For sale at ICO” and until the finalization there are no checks and controls what the founder does. Even if the founder calls finalize (), but until that moment the founder could take as many tokens as he wished. This would indirectly leave more tokens than is required for all other types of wallets. The list continues to be meaningless, because the founder conducts the ICO bypassing the smart contract and is therefore not limited by any limits. If there was some code in a smart contract that could be studied, an audit would be done. The current situation is characterized by virtually no code, which makes its audit simply impossible. The code that is given on the link is a simple screen and does not have any relation to the ICO. Transaction analysis https://etherscan.io/txs?a=0x5dd0815a4cf119ad91ba045bbbf879f3f7de3c68& states, that there is mainly used the distribution of tokens for AirDrop and other marketing programs. Each transaction uses 1 token address. The smart contract developer has such a low qualification that he does not suspect the existence of arrays and the ability to send tokens at once to 100-200 recipients in one operation. This number of transactions is meaningless and harmful for Ethereum – they do nothing, hammering the lock with garbage in the style of CryptoKitties. On other sites was found information that the project has Softcap. It’s a lie, it’s missing. On the website of the project information is also not there. Other auditors can use the archive.org site to find out how the founders of the project announced the ICO at the beginning of the fees and whether there is anything suspicious here. Enumerate threats to the investor does not make sense because of the actual absence of a smart contract, which somehow organizes the process of selling tokens. When checking the blockchain transactions – they are not there, i.e. the collection does go to the personal address created for each investor. When the Personal Cabinet issues an individual wallet (not a general wallet) for payment to the investor, it does not have any tools to check whether this is correct. When the fees go to a single wallet for each blockchain, then before payment it can be checked – in the telegram channel of the project, in the almost dead Bitcointalk, in White paper, in other places. then the investor will not be able to protect himself from this. Even with all his desire, such methods of organizing the Personal Cabinet are a bad practice associated with facilitating the programmer’s work on identifying payments (roughly speaking, this is due to laziness, inexperience of developers, cheap product, total disregard for the need to be ready for audit). If the described problem happens, the investor does not prove that the site caused him to transfer money to the wrong address. When ICO uses a single collection address for each blockchain, in the event of a break-in, it becomes known to everyone, especially company employees, quite quickly (panic in the chat, as a rule). With individual wallets – the problem can not be detected as long as desired. The threat of loss of collected money is a threat to the welfare of the whole project. A beautiful picture from the site hints that the user’s money goes into a smart contract, including USD (!). In fact, payments arrive in chaotic places, and the picture is false. 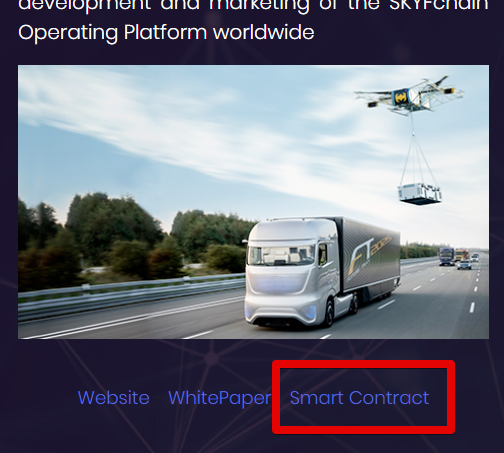 The personal cabinet hints (advertises) for the existence of a smart contract. This is an attempt to classify the product some standards, protocols, regulations, when in fact there is nothing like this. The softest term is unfair competition and deceit of the user regarding the existence of a smart contract that manages the ICO. There is a smart contract, only an outsider. 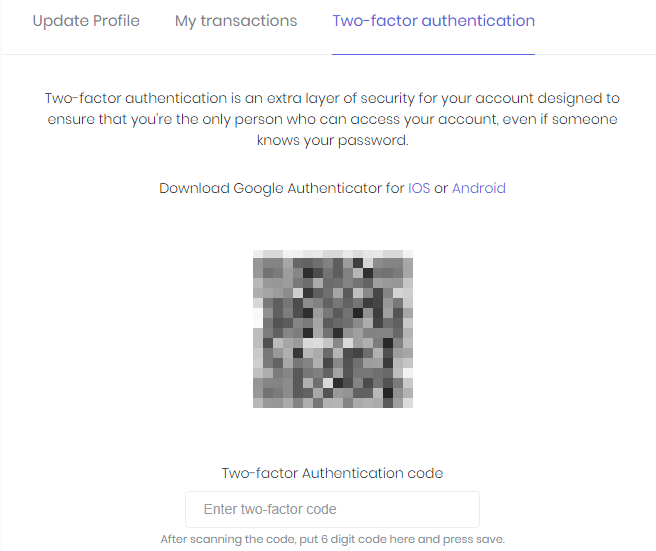 In ICO platform from CryptoB2B there is no useless 2FA, but there is a compulsory and immediately included three-factor (multifactorial) authorization, which acts imperceptibly for the user. If a hacker somehow gets access to a user’s account, it will not bring him results. A large number of nines (not shown in full, see Information about each transaction) speaks about the program nature of these operations. When people invest, the amounts are rounded in different ways. In addition, people do not put an equally low or constantly repeating transaction price (the last column). It is difficult to find the reasons for these anomalies, the most likely reason is to “rent money” or “run around the money” when they come and fall from the account for which funds are received for ICO. These operations Personal Cabinet shows as investment in unimaginable amounts by the number of participants, compared to which the most popular ICO can not boast. As it was noted above, the collection procedure is arranged so that there is no way to check how much money was collected. Because of this, it is possible to suspect the founders of any fraud, which is beyond the scope of this technical report. This idea of usability makes it possible to understand how the founder of the project relates to the quality of the information flow. This can be judged by the quality of the main product that the company will create in the future. The whole system is built in such a way that any analyst / auditor can easily blame the project for fraud. Non-transparent money collection mechanisms and the distribution of tokens are an easy basis for accusations of anything. However, in this review only technical principles are considered, and not the motives of the founder, therefore, no conclusions (except for the most obvious nonsense) are being made. The document is an estimative judgment of its author and in general the company CryptoB2B does not doubt the good intentions of the founders, and also wishes successes in the implementation of the project. Description of the main idea? Not rated: +0. Was there an obvious technical lie (fraud)? Found, -10. Are the main functions of the project related to the blockchain? Not evaluated, +0. Adequacy of the tokens sale, protection of the interests of investors? Awful (negative), -10. The quality of the code, errors in the smart contract? Low quality (negative), -3. The team’s openness to the audit and answers to uncomfortable questions? Have not analyzed,+0. Interim assessment by the formula: -10-10-3 = -23 points. Numbers less than zero or more than 10 are rounded to the range [0 … 10]. Total: “-23” is rounded to “0”. Final technical rating of cryptob2b for Skyfchain project: 0 out of 10, rating – Extremely bad.